Posted on: October 26th, 2018	by Jennifer A.
Halloween will be celebrated across New Jersey on Wednesday, October 31, 2018. However, because Halloween falls on a school night, not every town will have trick or treating that night. Below is our listing of Union County Trick or Treat Times. Be sure to check the listings below as some towns celebrate on a different date. If a town is celebrating on a different date it will be noted. 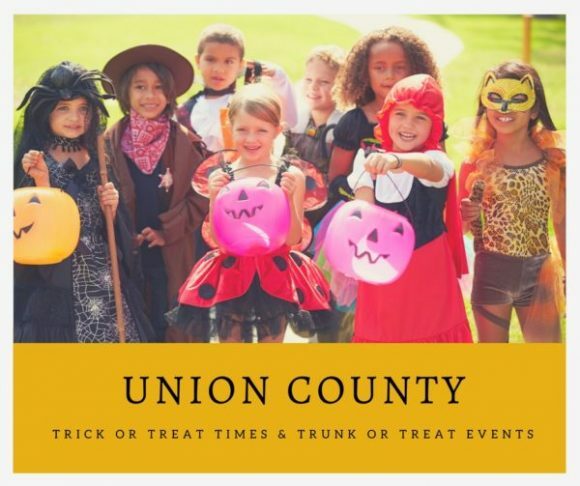 For more information on any Union County Trick or Treat Times listed below just click on that event’s listing. Visit our Statewide Listing of New Jersey Trick or Treat Times to see Trick or Treat Times across New Jersey. If you have a New Jersey trick or treat time we should add, please email us the town name, county, date, and hours to Jerseyfamilyfunevents@gmail.com. What time is trick or treating in Berkeley Heights? Trick or Treating in Berkeley Heights times are not predetermined by the town. Parents are expected to use their own judgment when choosing when to trick or treat with their kids. What time is trick or treating in Clark? Trick or Treating Times in Clark are not predetermined by the town. Parents are expected to use their own judgment when choosing when to trick or treat with their kids. What time is trick or treating in Cranford? Trick or Treating in Cranford times are not predetermined by the town. Parents are expected to use their own judgment when choosing when to trick or treat with their kids. What time is trick or treating in Elizabeth? Trick or Treating in Elizabeth times are not predetermined by the town. Parents are expected to use their own judgment when choosing when to trick or treat with their kids. What time is trick or treating in Fanwood? Trick or Treating in Fanwood details are listed below. What time is trick or treating in Garwood? Trick or Treating Times in Garwood are not predetermined by the town. Parents are expected to use their own judgment when choosing when to trick or treat with their kids. What time is trick or treating in Hillside? Trick or Treating in Hillside details are not yet available. As of 10/25/2018 we have not received a response to our email regarding trick or treat times. What time is trick or treating in Kenilworth? Trick or Treating in Kenilworth details are not yet available. As of 10/25/2018 we have not received a response to our email regarding trick or treat times. What time is trick or treating in Linden? Trick or Treating in Linden times are not predetermined by the town. Parents are expected to use their own judgment when choosing when to trick or treat with their kids. What time is trick or treating in Mountainside? Trick or Treating in Mountainside details are listed below. What time is trick or treating in New Providence? Trick or Treating in New Providence details are not yet available, but we do have details on this New Providence event with trick or treating. What time is trick or treating in Plainfield? Trick or Treating in Plainfield details are not yet available. As of 10/25/2018 we have not received a response to our email regarding trick or treat times. See below for Plainfield events with trick or treating. What time is trick or treating in Rahway? Trick or Treating Times in Rahway are not predetermined by the town. Parents are expected to use their own judgment when choosing when to trick or treat with their kids. What time is trick or treating in Roselle? Trick or Treating Times in Roselle are not predetermined by the town. Parents are expected to use their own judgment when choosing when to trick or treat with their kids. What time is trick or treating in Roselle Park? Trick or Treating in Roselle Park times are not predetermined by the town. Parents are expected to use their own judgment when choosing when to trick or treat with their kids. What time is trick or treating in Scotch Plains? Trick or Treating in Scotch Plains details are not yet available. What time is trick or treating in Springfield? Trick or Treating Times in Springfield are not predetermined by the town. Parents are expected to use their own judgment when choosing when to trick or treat with their kids. What time is trick or treating in Summit? Trick or Treating in Summit details are listed below. What time is trick or treating in Union? Trick or Treating in Union times are not predetermined by the town. Parents are expected to use their own judgment when choosing when to trick or treat with their kids. What time is trick or treating in Westfield? Trick or Treating in Westfield times are not predetermined by the town. Parents are expected to use their own judgment when choosing when to trick or treat with their kids. We have details on Westfield trick or treat events below. What time is trick or treating in Winfield? Trick or Treating in Winfield times are not predetermined by the town. Parents are expected to use their own judgment when choosing when to trick or treat with their kids. 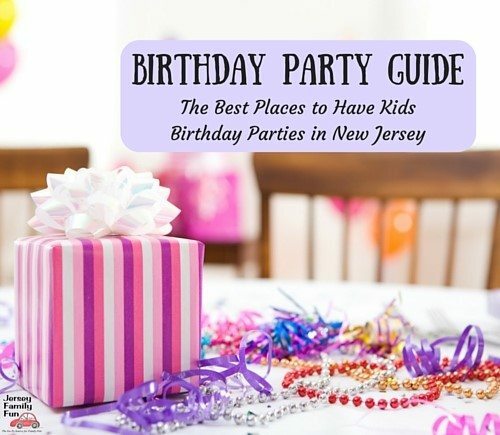 Visit our Statewide Listing of New Jersey Trick or Treat Times.